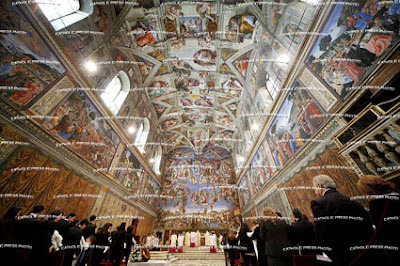 "This year, the wooden platform on which an altar was placed for the occasion will not be set up, but the actual altar of the Sistine Chapel will be used. 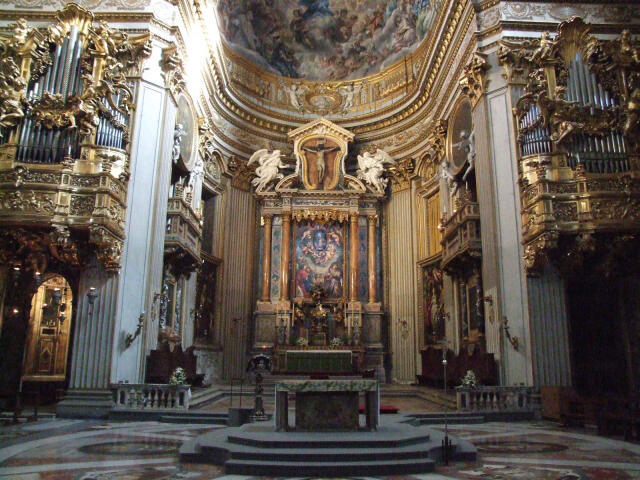 "A decision was made to celebrate on the ancient altar to avoid altering he beauty and harmony of this architectural jewel - the Vatican note explains - preserving its structure, in a celebratory viewpoint, and making use of a possibility foreseen by liturgical legislation. 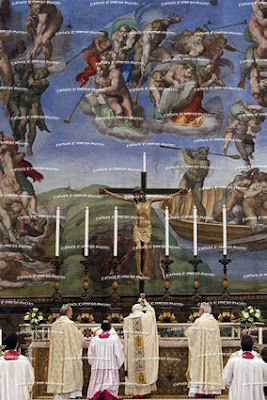 This means that, at some moments, the Pope will be with his back turned to the faithful and facing the Cross, thus guiding the demeanor and the disposition of the entire assembly"
The New Liturgical Movement has a collection of photographs which illustrate the visible continuity between today's celebrate and those of previous Popes (NLM: Hermeneutic of Continuity). 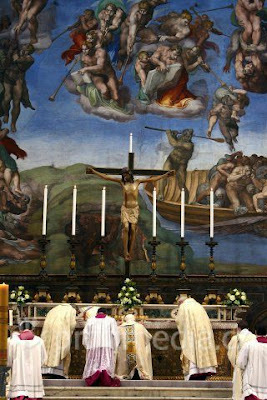 Certainly, to grow healthy and strong, these babies will need material care and much attention; but that which will be most necessary for them, indeed indispensable, is to know, love and serve God faithfully, in order to have eternal life. Dear parents, be for them the first witnesses of an authentic faith in God!